More and more the Dave Thomas Foundation for Adoption learns that the families who choose foster care adoption are families who already have children in the home or whose children have already grown. Foster care adoption is often a calling to families who feel they can change the life of a child. That was the case for the Suttles Family. With four grown children leaving home, the Suttles family decided to adopt an older child from foster care. But like all things in life, this didn’t go quite as planned. Instead, of adopting one child from foster care, the Suttles adopted six children from foster care! 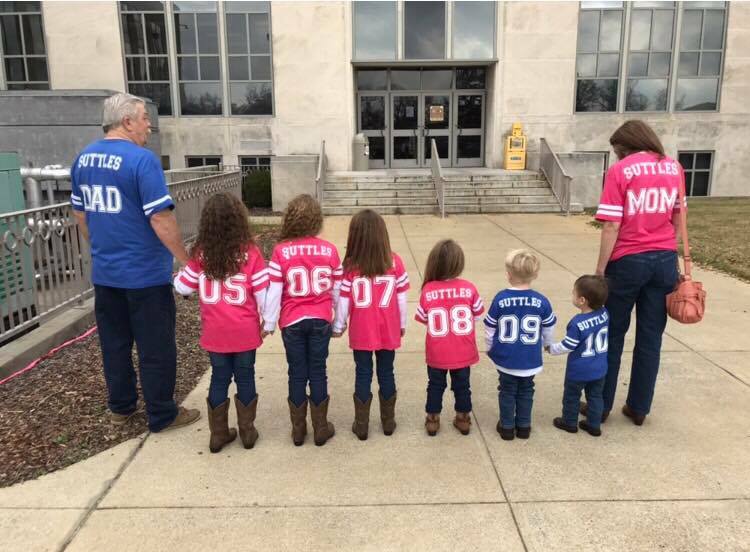 In December 2017 it was all official as the Suttles welcomed a sibling group of five plus another older youth into their home as their mom and dad. The Dave Thomas Foundation for Adoption is committed to increasing the number of adoptions from foster care and believes strongly that siblings should be kept together. Our adoption recruiters work solely to find homes for older children, sibling groups and children with special needs. This story is truly heartwarming. Not everyone can adopt from foster care, but anyone can support foster care adoption. To learn more, visit davethomasfoundation.org to become an advocate or make a donation.